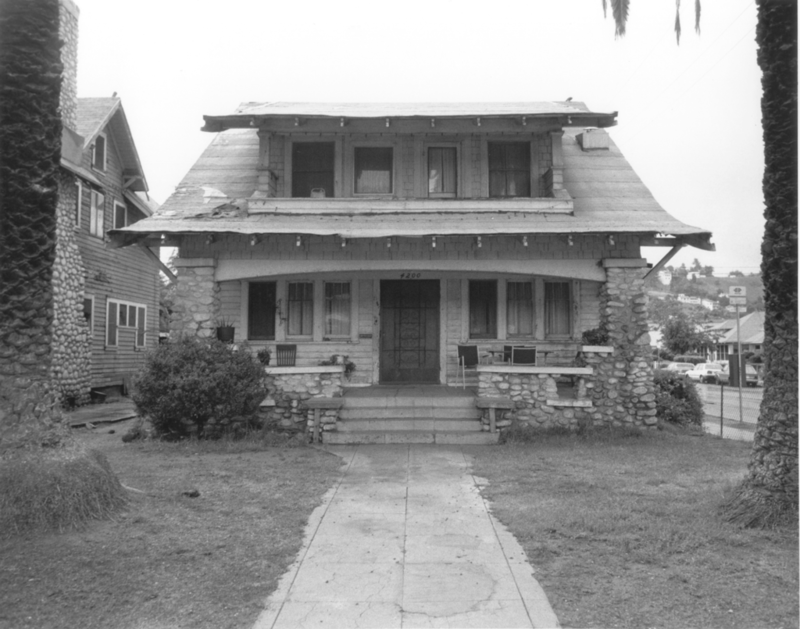 This Craftsman house was constructed by Ivar Phillips in 1907 as an example of an affordable model home. Its design details include extensive use of arroyo stone, flared eves, scroll-cut rafter ends, shingles and beveled siding. Phillips resided in the home next door, the Ivar I. Phillips Residence, HCM #470.